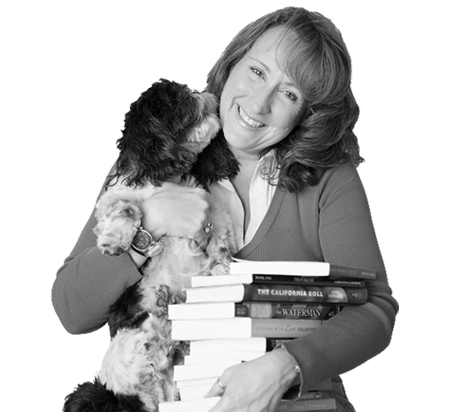 Guest post is by Penny Sansevieri (@bookgal), CEO and founder of Author Marketing Experts. She recently released 5-Minute Book Marketing for Authors, from which this post was adapted by Jane Friedman. To claim the page, you must sign in and add content. First, make sure that all of your books are claimed under your author page. It’s easy enough—simply list them in Author Central by inserting their ISBNs and posting them to your page. Amazon will double-check your entries for accuracy. Once they do, you’ll find a library of your books on your Author Central page. In addition to your Amazon US page, also check out your Amazon UK page. (I don’t know why Amazon keeps these separate.) If you grab this page as well, it’ll help drive attention from Amazon’s UK site. You can find it here. There are also Author Central Pages for other countries, which you’ll also want to claim; I’ll offer more detail on that later. Not sure what a standard Author Central page looks like? Check out Jane’s. Up to 8 images of yourself (which you can update any time) — this is a great opportunity to feature new books, upcoming promotions, or even awards won! Readers love seeing things like this on your page. Multiple videos of yourself — you can use anything from you talking at an event, a book trailer, or a video customized for the page. One of the bigger benefits of accessing your Author Central page is getting a look at your book sales data. Look at the top bar you’ll see once you log in. You can also check your author rank. Unlike Bookscan data, your author rank encompasses both print and ebooks. The rankings can be viewed by month, week, or year. This helps you to see how your rank aligns with copies sold. The mystery remains as to how many copies must be sold to bump up your sales rank, but this information is still helpful. These countries all list your book, but don’t have a page connecting all of your titles. And, unless your book is specifically connected to one of these countries, either in terms of subject, setting, or plot, you probably won’t sell as many books. Still watch for future developments, because once Amazon debuts Author Central Pages for these countries, you’ll want to hop aboard that train! In order to know what to expect on these pages, let’s start with France. It is slightly different than your USA Amazon Author Central page, albeit in a different language. Of course, your author bio will remain in English, but if your books are in English too, this works just fine. Japan’s Author Central Pages work slightly differently. But only slightly. First, you have to first register yourself there. So you’ll use your same username and password as you do for the US site and it takes just a few clicks, so don’t let the “new registration” deter you. It’s still quick and easy to do. From there, you’ll need to verify your email—in fact, the other countries’ sites request this too—and afterward, you’re good to go. When you’re optimizing your international Author Central pages, you may want to use the Chrome browser and its quick “translate” button. This is far more accurate than any other web translation tools I’ve tried. It allows you to quickly translate a Japanese website into English in a single easy step. Once you’ve claimed your pages, you’ll need your bio. Feel free to use the bio you created for yourself on your US page. Just keep in mind that it might be beneficial to enhance and/or update it for each country. You might feature any story lines or research in a particular country: Did you fall in love with an area on a visit? Have family there, or another great personal connection? Use it to help build your reader base in that country. Here you can see one of my client’s Author Central Pages across several countries, they’re robust, engaging and keep all of the author’s books in one place so the readers can spot them easily. I’m including the US and UK in here too so you can see how they compare! To make it simple for you, here are the links to access and update each of your pages. Please finish reading this article on Jane’s website so search engines don’t flag for duplicate content!